The Italian deputy prime minister has threatened to sue Jean-Claude Juncker after the EU Commission President compared Italy to Greece. Matteo Salvini said Mr Juncker's comments pushed up Rome’s cost of borrowing. After Mr Juncker's remarks, the yield on Italian benchmark bonds reached a four-and-a-half year high, while shares in Italian banks dropped. Salvini said Juncker's remarks "sent the (market) crazy" after he likened Italy to Greece and that he "could have spared us the comparison", Salvini. He continued: "He should drink two glasses of water before opening his mouth, and stop spreading non-existent threats. Or we'll ask him for damages". 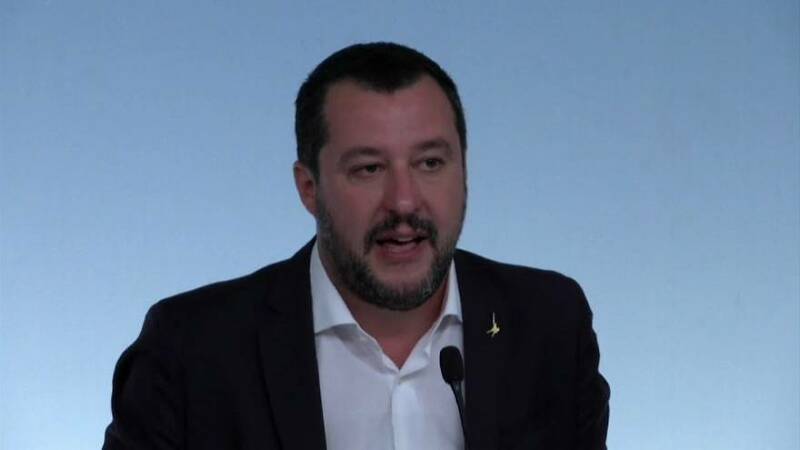 Salvini insisted that the Italian government could ask for damages from "those who wish Italy ill" like Juncker and "other European bureaucrats".